Stay one step ahead of your competitors this year by having your personal details and business logo printed upon our rather spacial Customised Fan Speakers. Our Customised Fan Speakers are a 3 in 1 supporters tool as it's a megaphone, a hand fan and a fan banner to help you cheer your favourite team to glory at the Euro 2019 later this Summer as well as cater for any other sporting event. So promote your details upon our Customised Fan Speakers today and stay advertised. To find out more about our Customised Fan Speakers click here and fill in the contact form and we'll get straight back to you. 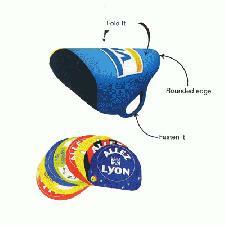 Other promotional and personalised items besides our Customised Fan Speakers click here.